At the bottom right of the picture of the 3rd floor cyclones and shakers (see 2/25/15 post) is a secret door which can only be opened from the fourth floor by spinning the Texas flywheel. Beyond that door is a grain bin and beyond that grain bin is the Mills tallest grain bin. At 36 feet tall it was the size of a railroad car on end. 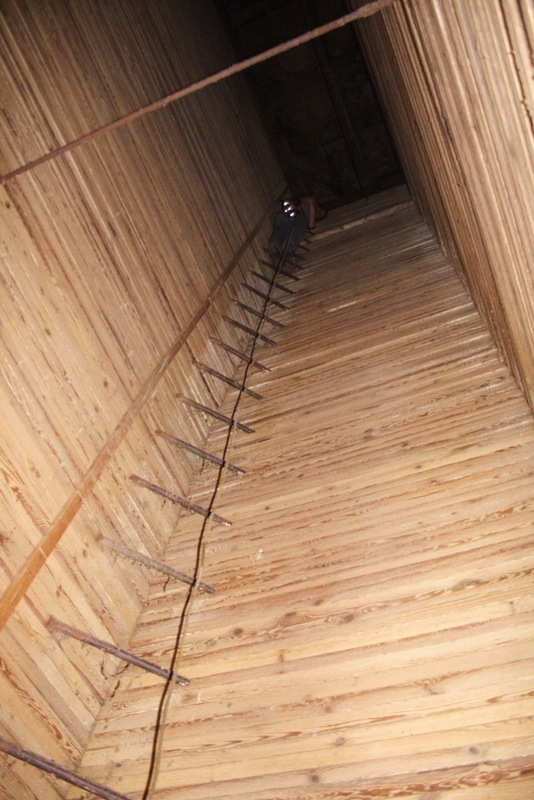 And in that grain bin we built a climbing wall. In the first picture you can see the wonderful old wood and the iron ladder. 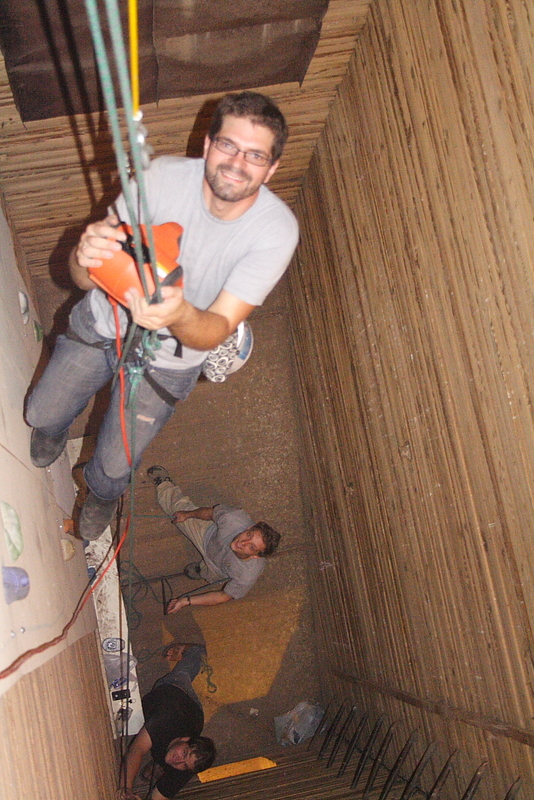 In the second picture you can see David flying in the grain bin as he installs the climbing wall. I would drop the sections from above on a rope and David would fasten them to the wall. The guys below, Ryan and Daniel, controlled his position and the safety rope.